The Clinique Chubby sticks have been on the market for a long time and were the’original’ lipstick/lip balm hybrid product in this style packaging. There is now a lot of competition for these Chubby Sticks as Soap and Glory, Revlon, Rimmel, MUA and Boujois have released similar, cheaper equivalents which are brilliant dupes but personally I prefer the Clinique versions because I find them more moisturising. 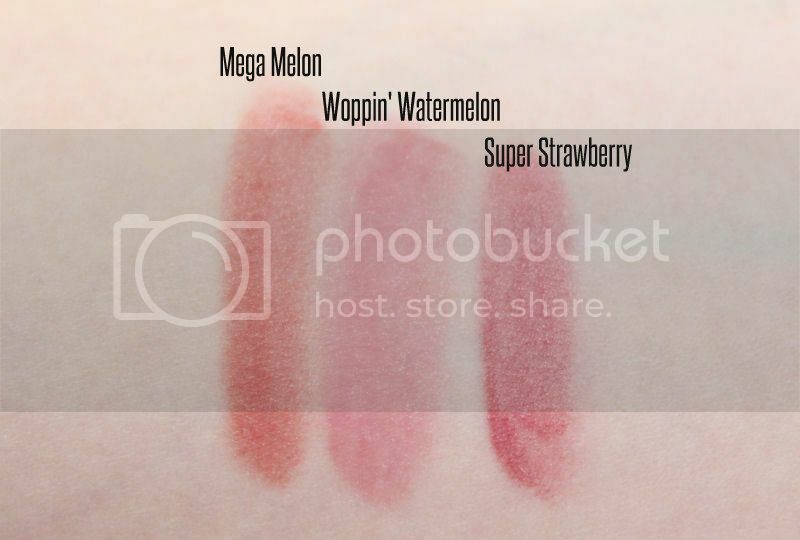 I have three Clinique Chubby sticks in my collection including Mega Melon which is a deep burnt orange/red shade, Woppin’ Watermelon which is a baby pink and Super Strawberry which is a beautiful medium blue toned pink. I love all of these shades because they are really different from each other but my most worn are the pink’s because I find they suit me better. When compared to the drug store versions I think Clinique offer a smaller colour selection but the ones they do have are beautiful. The packaging of the Chubby Sticks is adorable. I love that the outta casing represents the same colour as the lip product hidden inside and because it is retractable you don’t need to worry about sharpening which is perfect. I’m not a fan of having to sharpen products because it always ends up getting messy. The formula of these lip products as mentioned previously is a hybrid between a lipstick and a lip balm leaning more on the latter. The texture is smooth, glossy and moisturising so they are very comfortable to wear and easy to apply. The formula is sheer but is buildable so if you want a more opaque finish you can build up more colour but they aren’t as pigmented as a standard lipstick. As for the lasting power, it isn’t particularly long but as they are sheer it is easy to apply this product on the go without the need of a mirror if necessary so I don’t find this to be a problem. I would much rather have a product that is moisturising on my lips than one that lasts longer and dries them out. 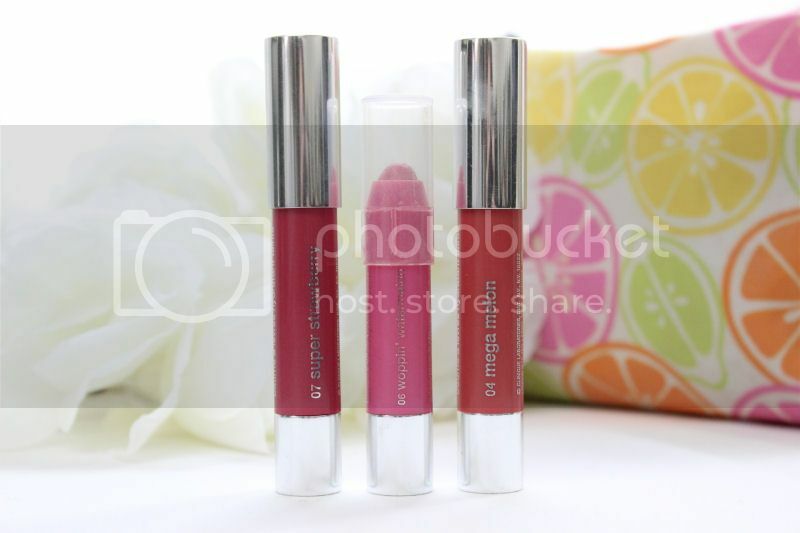 Priced at £17.00 the Clinique Chubby sticks are expensive but they are a really lovely product. What do you think of the Clinique Chubby Sticks? I haven't tried the Rimmel Colour Balms but in comparison to the Revlon Colourburst I prefer them. I find them more moisturising and balmy whereas I find the Revlon ones to be leaning more on a stain. I also find with the latter, if I apply too much it can come off patchy which looks horrible but this doesn't happen with the Chubby Sticks. The Chubby Sticks are also sheerer than the Revlon Colourburst.. at least the shades I have tried are. I love them but they're just SO expensive. I was going to buy one recently but couldn't bring myself to spend the £17 when I could get a very similar product in Superdrug for a fiver. Great post, lovely swatches and very helpful! I keep meaning to purchase a Chubby stick, I just can't bring myself to splurge my money on them! Thanks for stopping by my blog and leaving a lovely comment! Hmm wouldnt have a need for them but they sound very expensive! I've been hearing a lot of good things about these chubby sticks and I think I should get at least a few shades! They'll be great for my dry lips too. I've got Chubby Stick Intense in 06 Roomiest Rose and I love it! 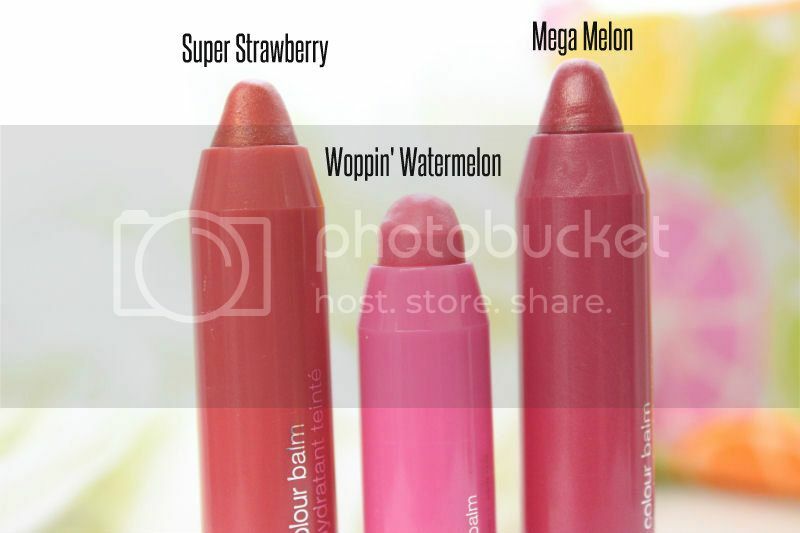 So funny names hahaha, Super Strawberry looks nice! I agree… they are a bit expensive.